Viasat: Nieuwe frequentie voor TV 2 Syd: 11881.00MHz, pol.H (DVB-S2 SR:28000 FEC:3/4 SID:5030 PID:5031[MPEG-4]/5032 Danish- VideoGuard). 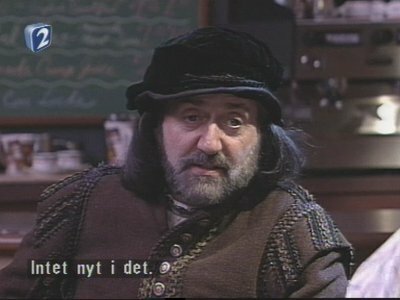 Canal Digital Nordic: PID zijn veranderd voor TV 2 Syd op 10841.00MHz, pol.H: PID:1326/3337 Danish SID:4704 ( SR:24500 FEC:7/8 - Conax). Canal Digital Nordic: Nieuwe frequentie voor TV 2 Syd: 11325.00MHz, pol.H (DVB-S SR:24500 FEC:7/8 SID:2522 PID:514/644 Danish- Conax). Canal Digital Nordic: Nieuwe frequentie voor TV 2 Syd: 10841.00MHz, pol.H (DVB-S SR:24500 FEC:7/8 SID:4704 PID:515/652 Danish- Conax). Canal Digital Nordic: TV 2 Syd (Denmark) is in DVB-S van start gegaan op 12303.00MHz, pol.V SR:28000 FEC:3/4 SID:4704 PID:515/652 Danish - Conax. TV 2 Syd switched to Astra 4A satellite at 12476.00MHz, pol.V (DVB-S , 12476.00MHz, pol.V SR:27500 FEC:3/4 PID:4631/4632 Danish). Viasat: TV 2 Syd (Denmark) is in DVB-S van start gegaan op 12476.00MHz, pol.V SR:27500 FEC:3/4 SID:4630 PID:4631/4632 Danish - VideoGuard.